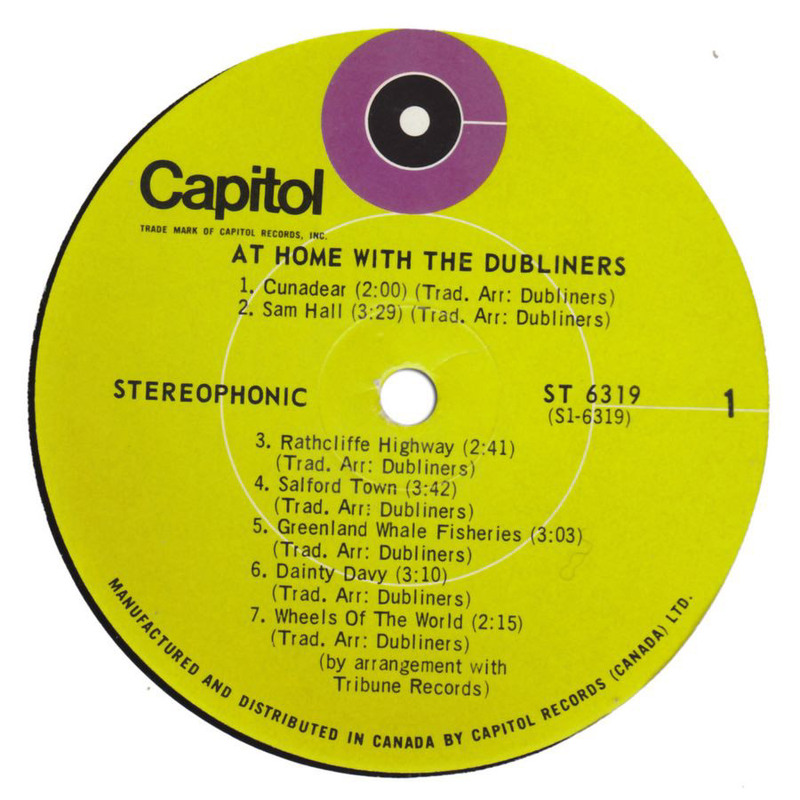 Tracks: 4 & 9 are not included on the Canadian release of At Home. 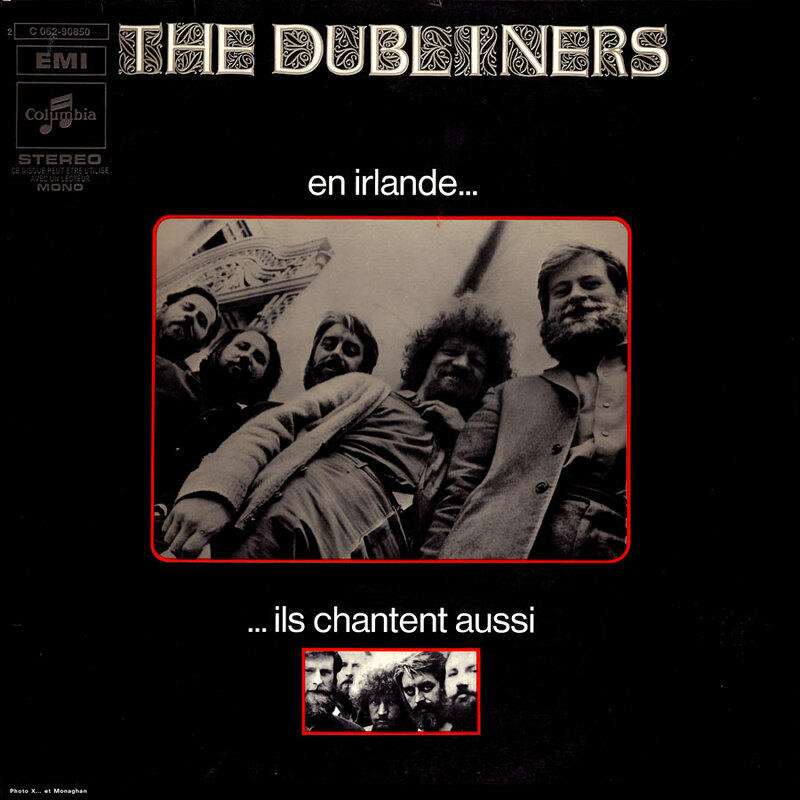 Track: 7 is not included on the French release The Dubliners (En Irlande Ils Chantent Aussi). 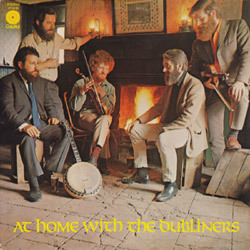 Tracks: 3, 4, 7 & 13 are only included on the Canadian release of At Home. 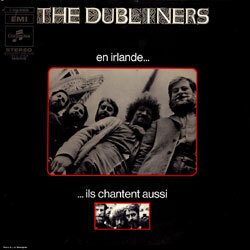 Tracks: 3, 4 & 7 first began appearing on compilations in 1998 on Ireland's No. 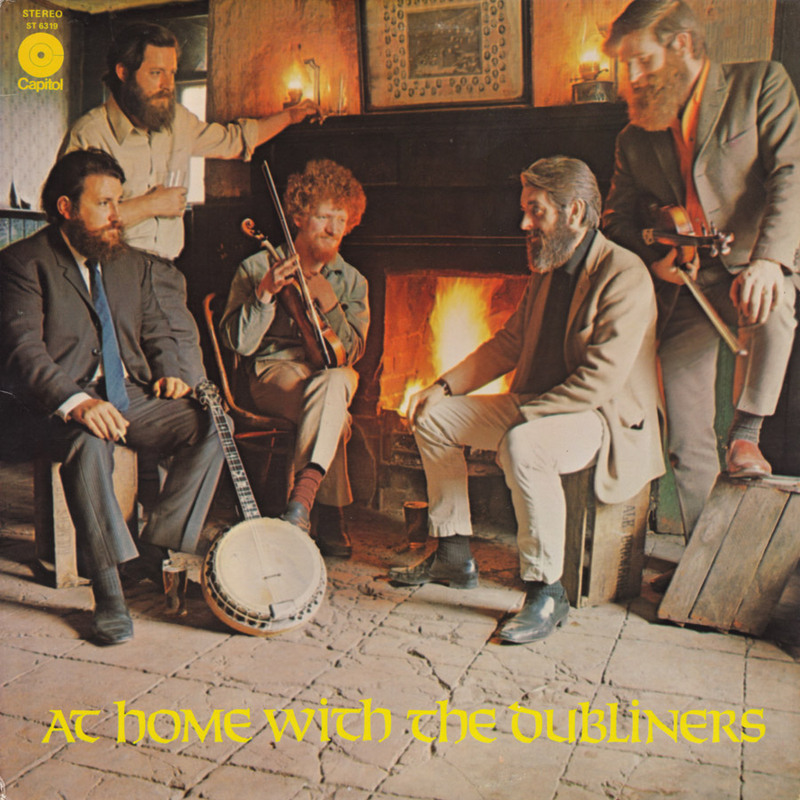 1 Folk Group. 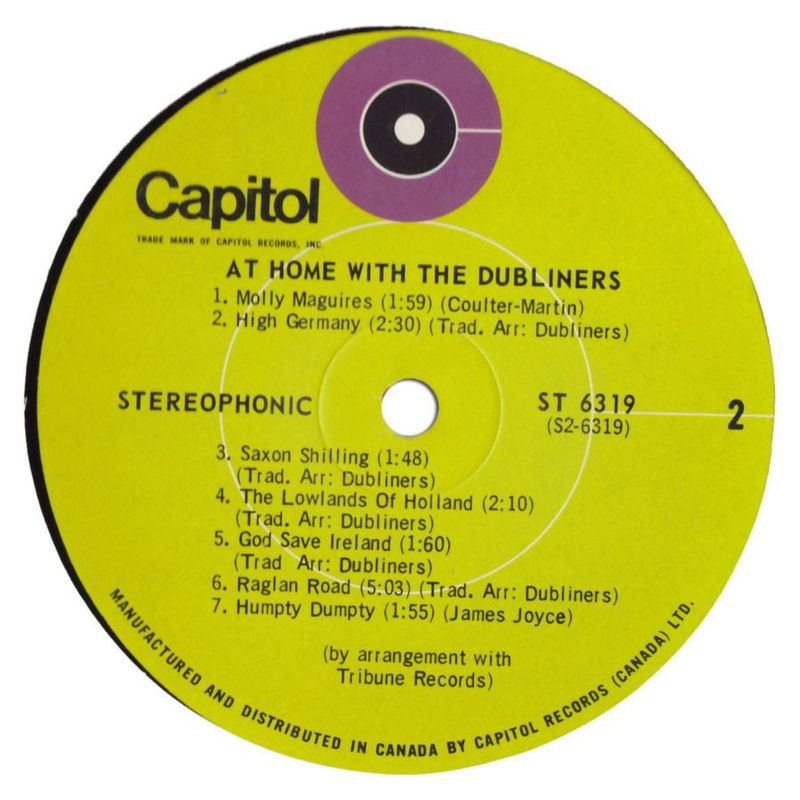 These tracks have also appeared on a handful of other compilations since. 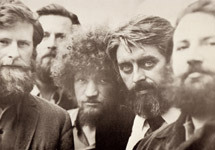 To my knowledge, Luke Kelly's original version "Raglan Road" (track: 13), was only released as a single and on the above Canadian pressing of At Home. 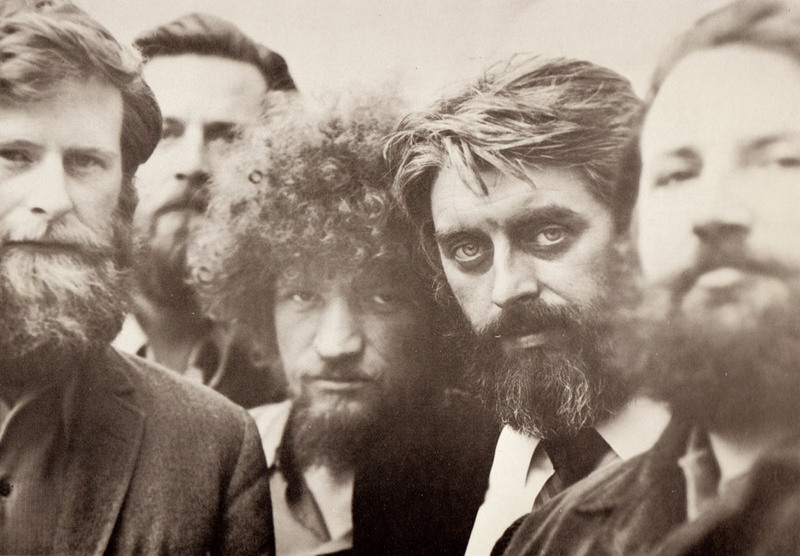 Who would ever believe that a glassblower, a draper's assistant, a caretaker, an electrician and a liftboy would ever turn out to be the greatest folk act to come out of Ireland in fifty years! 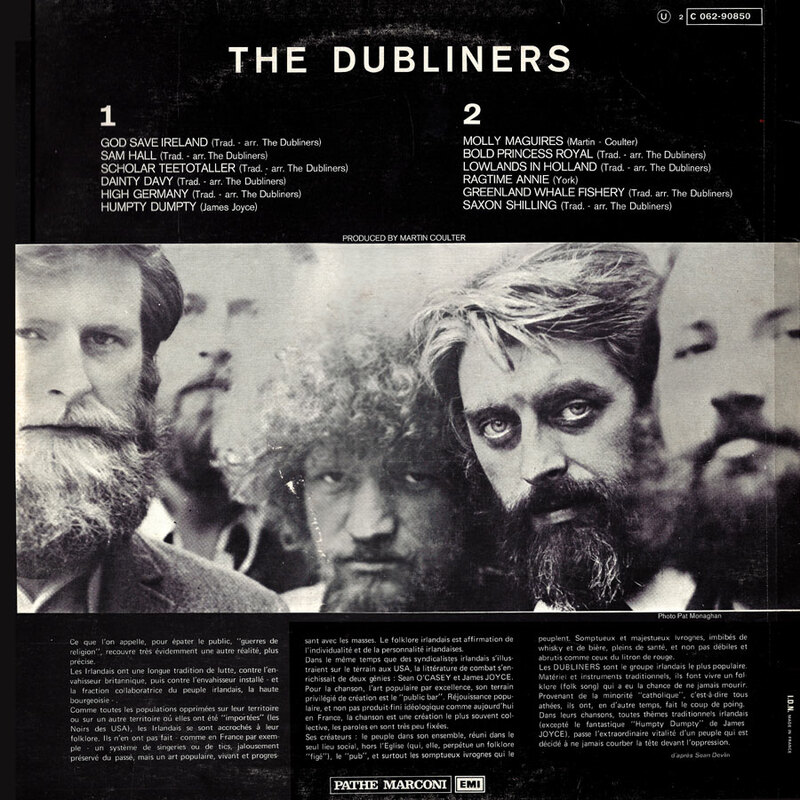 THE DUBLINERS are probably the best accident that ever happened to the music world, and contribute to it not only with their superb voices, but also their extraordinary talent as musicians. 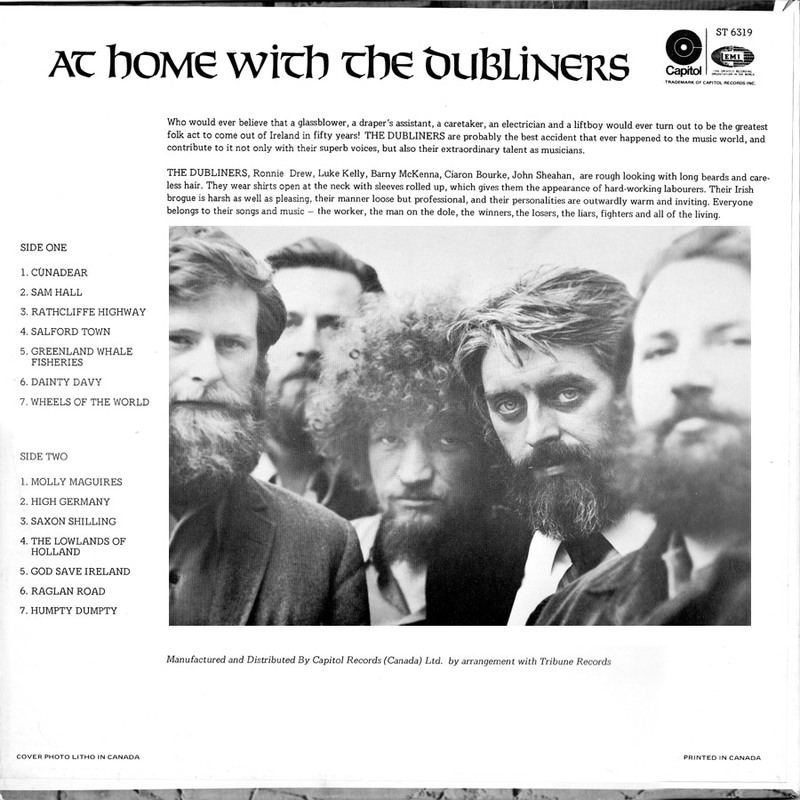 THE DUBLINERS, Ronnie Drew, Luke Kelly, Barny McKenna, Ciaron Bourke, John Sheahan, are rough looking with long beards and careless hair. 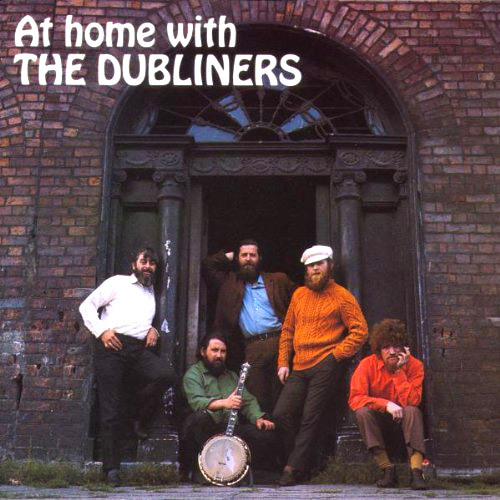 They wear shirts open at the neck with sleeves rolled up, which gives them the appearance of hard-working labourers. 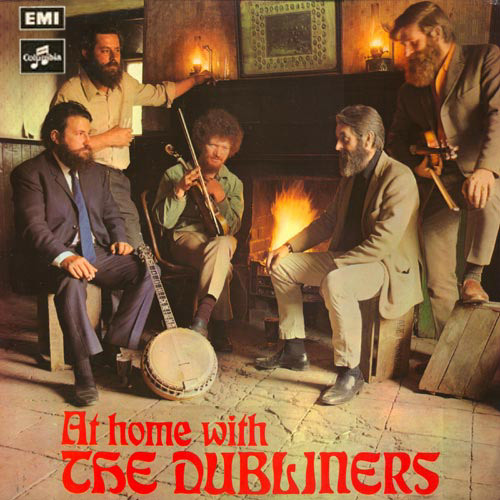 Their Irish brogue is harsh as well as pleasing, their manner loose but professional, and their personalities are outwardly warm and inviting. 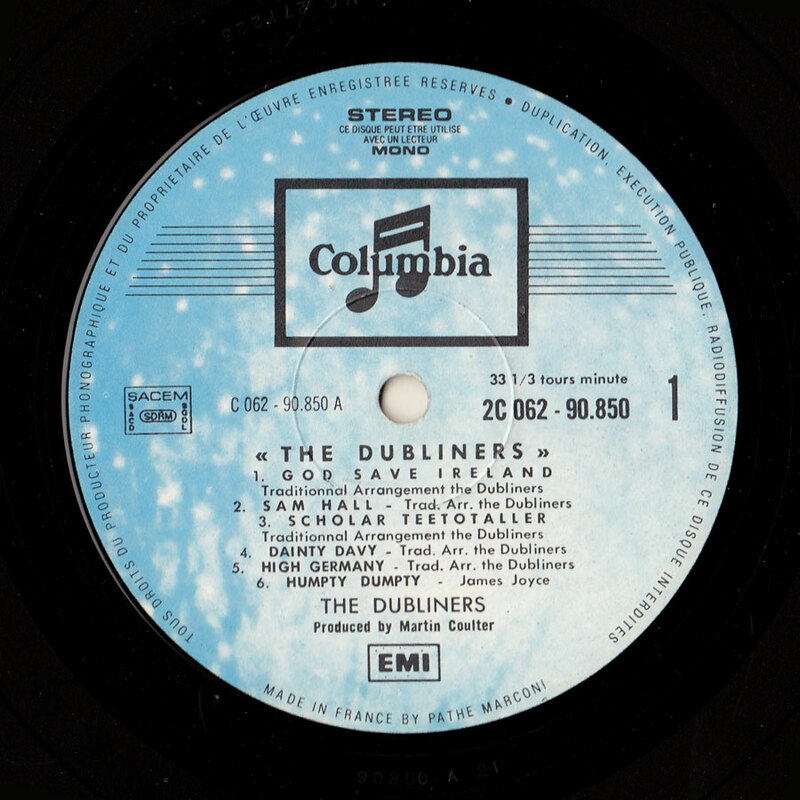 Everyone belongs to their songs and music — the worker, the man on the dole, the winners, the losers, the liars, fighters and all of the living. 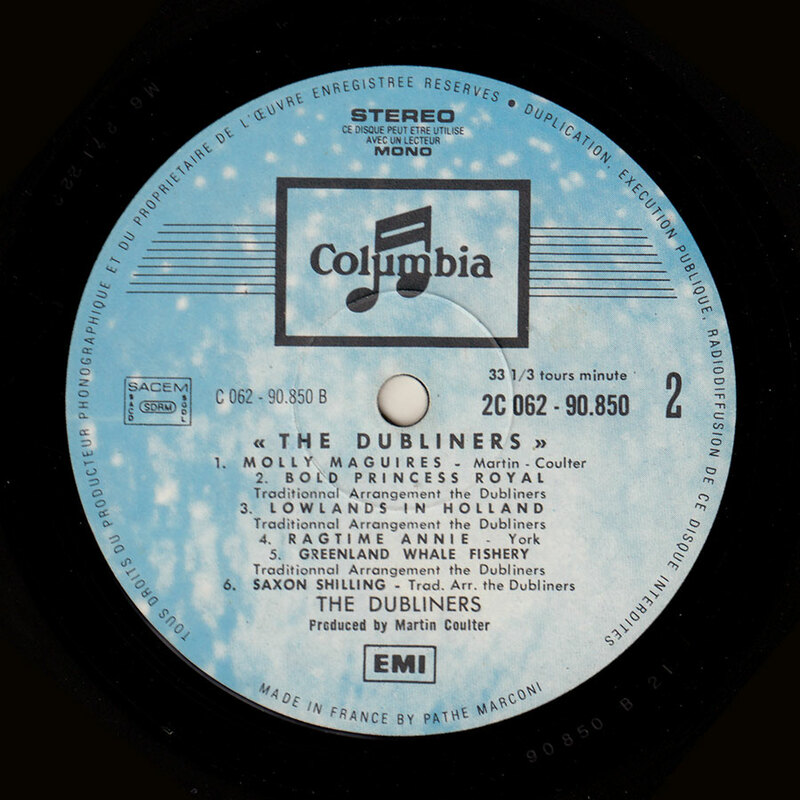 To my knowledge, "Bold Princess Royal" (track: 8), was only released as a single and on the above French LP, En Irlande ….